Schools need to be informed and involved concerning long term negative health impacts. 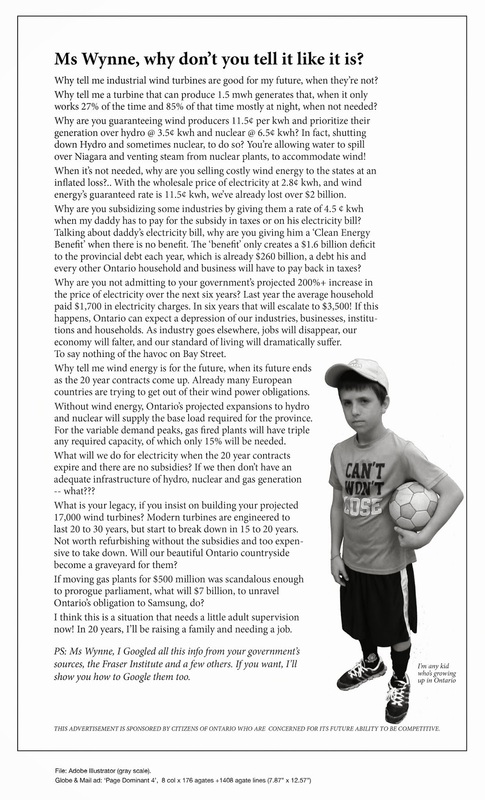 | Mothers Against Wind Turbines Inc.
Schools need to be informed and involved concerning long term negative health impacts. The following is written by Luann Therrien. November 2015. As many already know our family resided less than 3/4 of a mile to the nearest Industrial Wind Turbine, 5 were within one mile, all 16 were within two miles. We lived near the project for three years. Abandoned our home of 18 years on December 22, 2014. While State officials will not admit to any adverse health impacts from residing in too close proximity of an Industrial Wind Power Plant, they will agree that sleep deprivation has serious impacts on an individual’s health. The sounds being emitted by wind turbines causes annoyance and sleep deprivation and we are still realizing more impacts these sounds have on a body. We were exposed to various sounds being emitted from the power plant consisting of audible and inaudible sounds (infrasound). Realize individuals residing around projects may not have the proper information to have any idea of what the symptoms may consist of. This information is also valuable to schools who have students in attendance who live in these areas. The impacts are serious and there fore needs to be taken seriously by everyone including the education system. Before I continue, feel the need to make clear that through the entire Industrial Wind Power Plant proposal and construction process, we did NOT oppose the project. It was not until after the completion of the project and it went online did we understand we would hear the turbines. Took around six months for us to realize the sounds were impacting us, and almost a year to begin comprehending how severly it was impacting us. My son did something that made me laugh out loud, a real laugh. In that moment I was shocked to realize that I hadn’t done so in a very long time. My personality had been changed, am still not the person I used to be. Went from being accused of laughing too much to being prescribed Prozac and Trazadone. This therapy continues. Sought out the aid of a Psychiatrist who has diagnosed my husband and I with PTSD. Along with evaluations preformed at our children’s schools, we will be setting up appointments with our psychiatrist for our now almost 6 and 4 year olds as they exhibit behaviors that are a concern. You will find an abundance of information online on the subject of “Wind Turbine Syndrome”. Some you read will state that there are no adverse health impacts in conjunction with Industrial Wind Power. Please keep in mind these studies are typically bought and paid for by the wind industry who profit from the installations. Any studies proclaiming the opposit, are preformed by concerned citizens, Doctors and so on who realize the seriousness the impacts will have on some individuals. Below you will find a link to our Facebook Group “Victims of Industrial Wind” along with links speaking of the adverse health impacts.